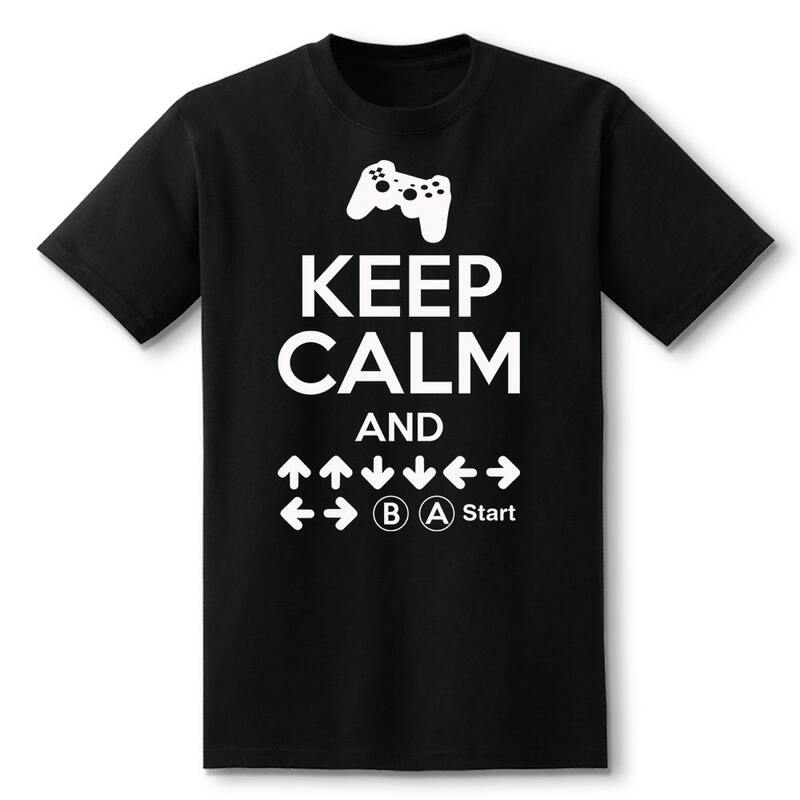 Keep calm and up up down down left right left right b a start! 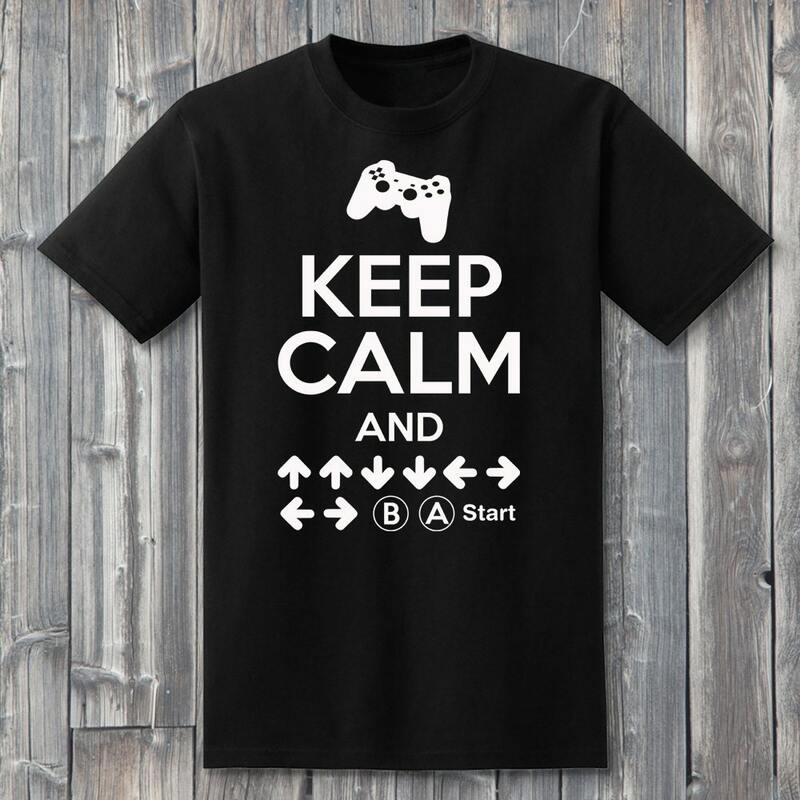 The Konami Code is iconic and is bound to get smiles from other gamers in the room. 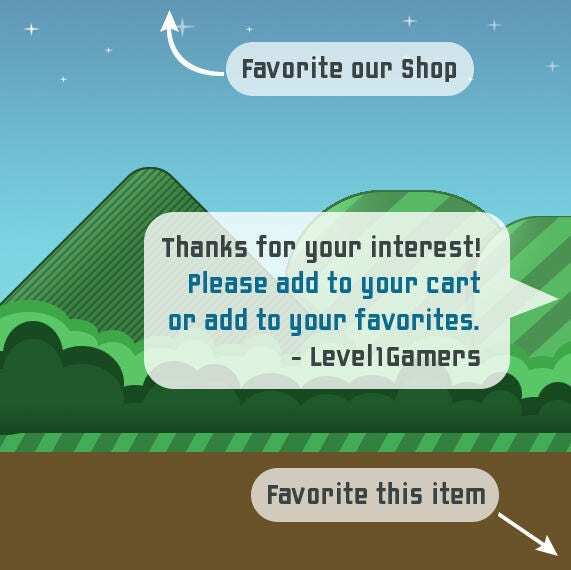 Be the classic game hero and buy this for yourself or a friend! Comes in many sizes and looks great on men and women. 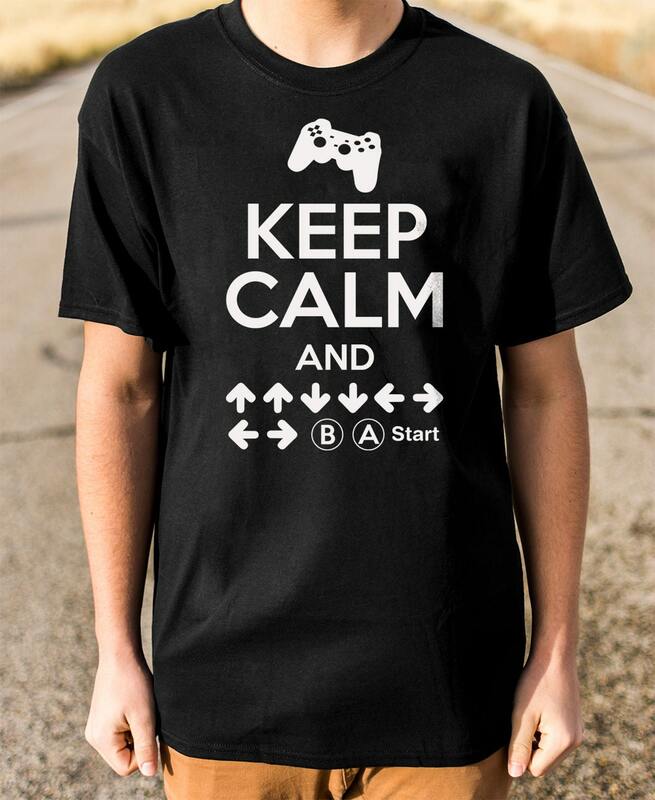 We hand press each soft cotton shirt with quality heat transfer vinyl.